MP4 or MPEG-4 (Moving Picture Expert Group-4), first published in 1998, was designed to encompass all the features that were part of earlier releases of MPEG files and add a few more that would prove helpful with the advancing online technology of the day. As a standardized group of video and perceptual coding formats, MP in general quickly became a hit with the average Internet user. The introduction of MP4 made it possible for the audience to continue growing by providing quicker, faster, and higher quality broadcast media for the average user. So great was MP4’s success that by 1999, it was considered the gold standard for all types of streaming and broadcast applications online. 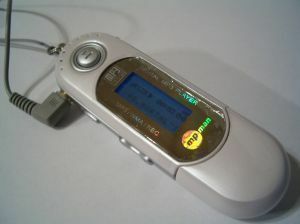 The format’s functionality was such that programmers were able to easily use MP4 on websites and in various other applications. Businesses found it to be a great sales and marketing tool and residential users also had a great time viewing, swapping, and even creating their own streaming media in the MP4 format. Because MP4 was a reliable application that required a relatively low amount of bandwidth, just about everyone could take advantage of the tool. This was especially true as technology made it possible to create more powerful desktop and laptop systems that had a larger hard drive and could command more power. The enhancement of the speed of various types of Internet connections also helped to make MP4 more accessible to a greater audience. There are all sorts of ways to enjoy the benefits of MP4. First, online consumers can enjoy all sorts of movie shorts, whether professional or amateur. Also, these shorts can be saved to a hard drive and shared with others via email. Some sites that use this streaming application also make it possible for users to send a copy of the movie short through email and directly to a friend or acquaintance. When it comes to business applications, the MP4 makes it possible to have presentations on the website that discuss various goods and services that the company offers. The format can be used to dress up presentations for prospective clients and is a tool in sales and marketing campaigns. MP4 is a versatile format as it can be used for fun as well as business. Some audio/video software that are compatible with MP4 are 3ivx, ALLPlayer, Amarok, Audacious Media Player, Augen Prizm, Banshee Music Player, Dell MediaDirect, Exaile, foobar2000, GOM Player, iTunes, iPods (all versions), jetAudio, J.River Media Jukebox, J.River Media Center, The KMPlayer, KSP Sound Player, Media Player Classic, Music Player Daemon, MPlayer, Nero Burning ROM (Nero ShowTime), Nintendo DSi Sound, Nokia PC Suite, Photo Channel (Wii), Playstation Portable XMB, QuickTime Player, RealPlayer, Rhythmbox, Songbird (software), VLC media player, Winamp, Windows Media Player 12, XBMC Media Center, Xine, Zoom Player, and Zune. Hold on… I never have mp3. What is mp4? Last time, I have try convert a song of mp4 to my cellphone. It’s still not work. I can not find out the song. I think more cellphone have the mp4 program but for high type and expensive prices. What is the device you’re playing it on? Will photostory or Winds Movie Maker allow you to use an MP4 edited or unedited? Looks like they don’t support that. 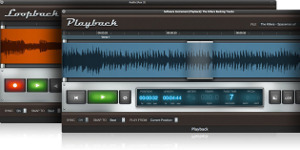 You should convert MP4 files to WMV with tools like Format Factory (from PCFreeTime.com) or Windows Media Encoder. 178 queries in 0.455 seconds.